Bali and Lombok has a romantic place with a very beautiful natural background. Two islands in Indonesia are located adjacent to each other and almost the same culture. Lombok has now become the most sought after island in Indonesia. Ubud Village is located in Gianyar. The village is very famous for the culture and art. Have people who are very friendly with anyone. Nature is still very beautiful and maintained. The beauty of nature in ubud can not be doubted. 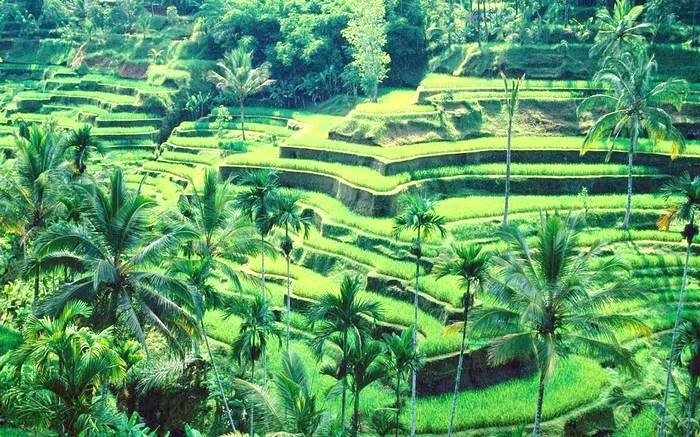 Anyone who was in ubud will feel the peace of soul to see the sights of the beautiful green mountains and terraced rice fields. The village is also believed to provide a million inspiring. For lovers who want to enjoy a romantic nuance with amazing views, the village of Ubud is the right choice. In Ubud there are also lodging with background scenery terraced rice fields and dazzling green hills. It is suitable as a place for a honeymoon for newly married couples. Cycling in the middle of rice fields is the most popular activity of tourists during a trip in Ubud. Starting from just around the city center to rent a mountain bike to ride as far to Kintamani. You are free to interact and feel the hospitality typical of the people of Ubud. Not only is the island of Bali that has a romantic place, Lombok also has a very beautiful romantic place, even now the target of foreign tourists from all over the world. One of the most romantic places in Lombok is Senggigi Beach. 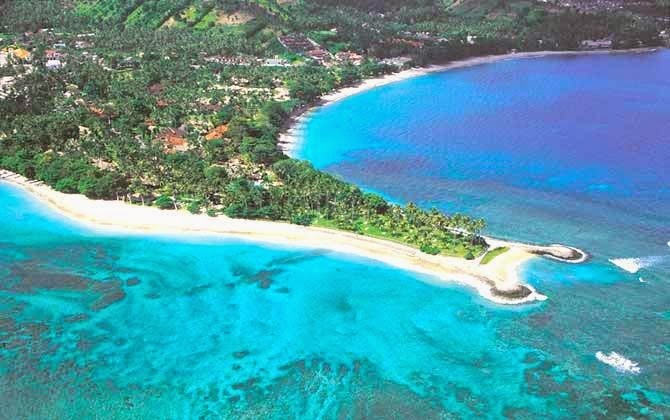 This beach is located in West Lombok, has a beautiful atmosphere and underwater scenery is breathtaking. Ocean waves are not too big and quiet, shades which can add to the romance of the atmosphere when the honeymoon for newly married couples kekasing. Senggigi Beach is not at Kuta Beach in Bali, but suddenly we were here will feel like being in Kuta Beach, Bali. Entering the area of Senggigi beach, tourists seta immediately greeted by a gentle breeze that soothes. Tourists who come to this beach more than happy to spend time with sunbathing, swimming, snorkeling, or just playing around at the seashore. Senggigi Beach sea water is so clear and clean, even you can see directly herd fish in the sea swim freely Senggigi. The life of coral reefs in the Senggigi Beach is still maintained until now, it makes one of the tourist attractions in Lombok is a destination that interests many people snorkeling.